And just like that Tommy is Stella ends up being traded today to the Los Angeles Angels in exchange for a player to be named later. The move is It’s a little surprising, but not a lot surprising. It’ll be interesting to see who the player to be named later is considering the Angels’ system is similar to the Cubs. More than likely, it’s going to be class A or rookie league player. ESPN.com’s Jesse Rogers is going to have to be checked frequently to see how he is doing over the winter. This is not a head scratching move. However, I do find it a little strange that it happened the day before the non-tender deadline, which is set for tomorrow. Considering the Cubs picked up Ronald Torreyes yesterday. La Stella only made $950,000 last year. So, this is not about money. It’s probably about giving La Stella an opportunity to play everyday. 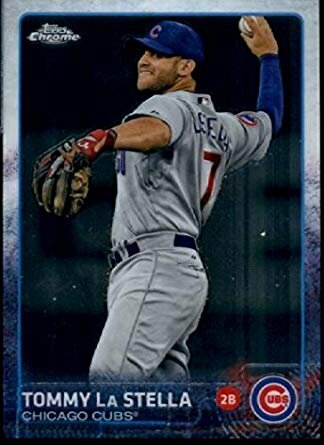 La Stella’s pinch hit ability was a luxury the Cubs could afford until David Bote came along. Bote’s versatility and defensive wizardry is much better than La Stella’s. Now that Torreyes is also aboard, La Stella’s time came to an end. La Stella’s strength has always been, and will be, his left-handed bat. He had a total of 1.3 WAR in his time as a Cub garnering 139 hits over 4 seasons. The most at-bats he saw in a Cubs’ jersey was last year with 169. 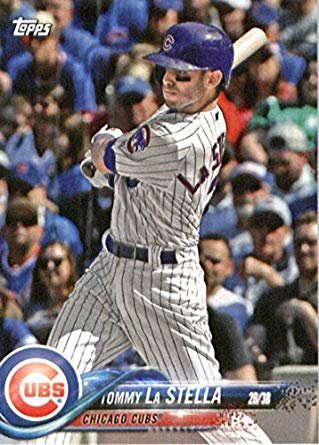 His best year as a Cubs was 2017 when he put up an OBP of .389 in 151 plate appearances. If La Stella had been an every day kind of guy, there might be something to be upset about here. But there’s not. It’ll be interesting to see if the Cubs make any other moves to coincide with this one. The strange thing about this time a year is that there will be a lot of unexpected moves that you don’t hear anything about until they happen. I still plan on putting out the first base organizational position breakdown tomorrow morning. If something else happens tomorrow, I will be back to analyze that deal. It could be an exciting day tomorrow. We shall see!